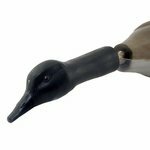 "My black british Lab loves retrieving my Dokken's dummy's"
My black british Lab loves retrieving my Dokken's dummy's, so being a hunter who NEVER spoils his gun dog, I bought the goose, duck, pheasant, chukar, quail and dove. I figured that if I hunt all over North America why not spend $175 for my loyal friend who can enjoy these every day! GNW San Juan Capistano CA. Great product. Very heavy. Perfect for training. "The weight of the goose dummy is very good for young dog." The weight of the goose dummy is very good for young dog. Also size is great. Gets them conditioned to pick up something bigger than dummy. This trainer is BIG! Great size replication for our honkers in our area. Great construction, quality product. 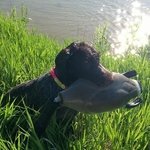 "Excellent for the young dog to learn to pick up larger birds." 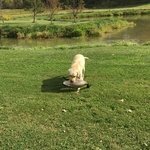 Excellent for the young dog to learn to pick up larger birds. Excellent weight and size. First time to retrieve my dog had to figure it out. After that with a little extra effort he knew how to pick it up. "So far no issues with durability." My dog is one, and he gets excited when I use the dead fowl trainers. It's true what the videos say. I have to keep mixing it up with bumpers as he will go for the trainers. The Canada goose challenges him to pick it up, but he loves it. So far no issues with durability. "I was using this decoy to scare geese from a pond used by a handicapped man." Very high quality product. Should last for many many years. Good size and weight. If your dog has a hard bite it will get punctured. 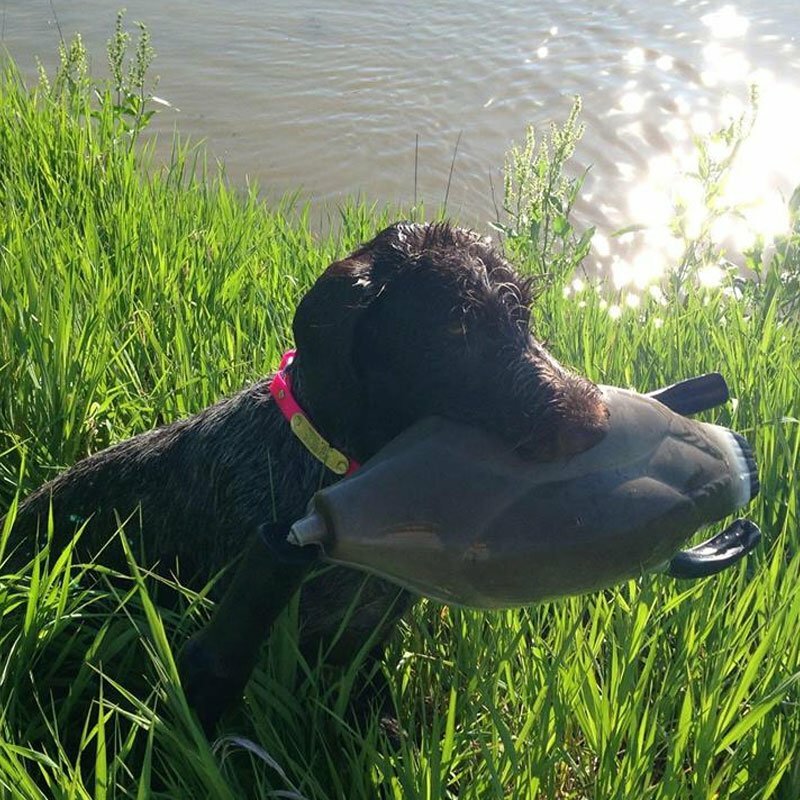 "It penetrates the cover then absorbs water when doing water retrieve training." 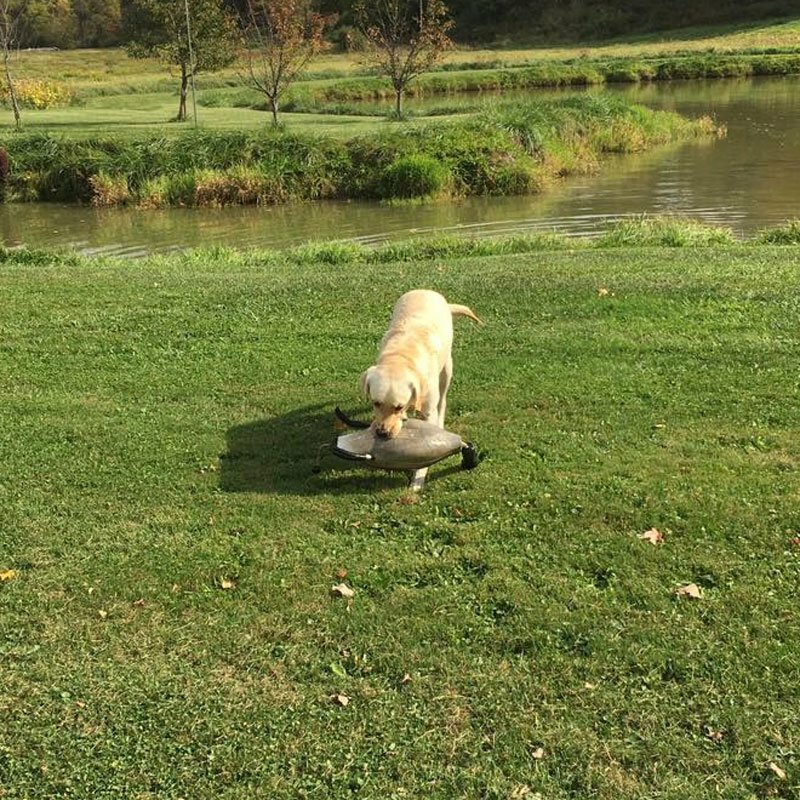 Due to the weight of the goose, the dog has to bite hard enough to carry. 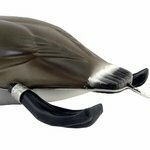 It penetrates the cover then absorbs water when doing water retrieve training. Otherwise a great training tool.